Feb 2017: Scott Papek releases "First Snow"
One of those moments when you sit back and let mother nature do her thing. Between the light fluffy snow dusting the top of the mountsins or the moving clouds revealing the wonder light spilling in. It's moment like this when you stand behind your tripod and smile as you push the shutter on your camera. 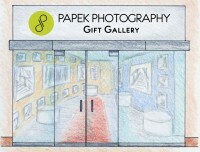 Visit Scott PApek's Seasonal Gallery before December 31st. Located in the Westroads Shopping Mall Omaha, Nebraska. A dream is becoming a reality. 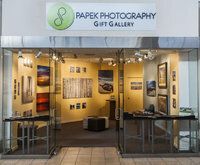 I have reached an agreement with the Westroads Mall in Omaha to do a trial gallery from November 15th to December 31st. A nice little article about Scott's work in Shutterbug magazine. Scott Papek is a Nebraska-based landscape photographer with a interesting past-he originally was a sound designer, creating emotions from “noise”-and now uses his talents to produce images that “come from the soul rather than a camera” His dramatically designed website literally hits you over the head to get your attention with screen-fillin images that, rather than using a lot of words, do the talking for him. His Gallery Images include a handful of signature images that are sold as Limited Edition, while his portfolio also contains Open Editions. This is just a small selection of images but is clearly an example of “less is more” since each photograph is impeccably composed (“Lake Jenny Reflection”) and colorful (“Tranquil #1") and are examples of the best landscape photography has to offer. Before leaving his site be sure to visit his blog, which is populated with examples landscape photography accompanied by comments about where the image was made and occasionally about the nature of life of a fine art photographer, such as, “Don’t ever think you have it figured out.” I couldn’t agree more. 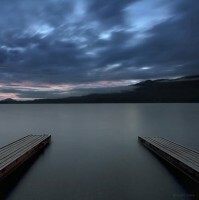 “The Right Road” was taken September 2012 in Lake Quinault, Washington. A brilliant find on one of my unpredictable photo tours. Being around water has always been a peaceful place for me. “The Right Road” is a limited edition of only 300 gallery prints and looks best at 40 x 40 with the Aluma museum mount.